Imagine being so desperate to change your pricing strategy that you asked the government to mint a special coin. It might sound far-fetched, but it did happen. 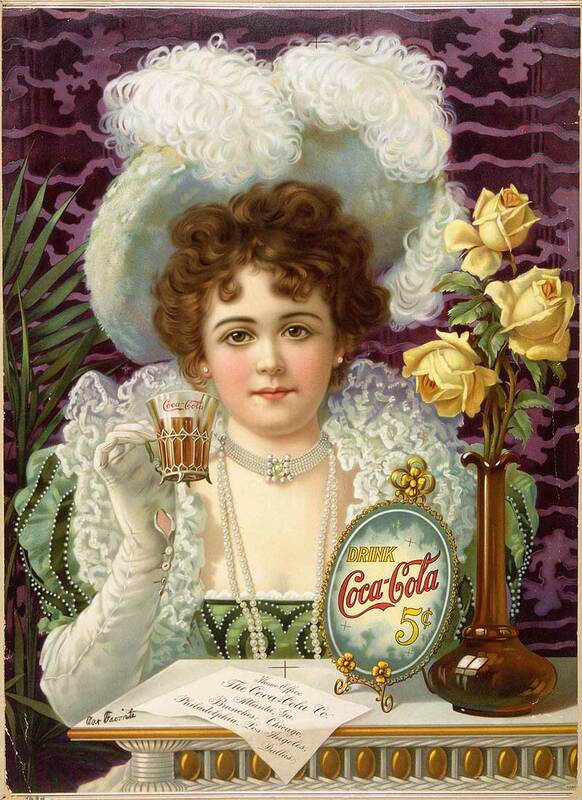 Since 1886, the first time Coca-Cola was sold in an Atlanta, GA pharmacy, the price had held steady at 5 cents per bottle. For 67 years, customers enjoyed the soda for a nickel. The pricing strategy survived two world wars, caffeine shortages, and the founding of Pepsi. However, the company had to deal with rising operational costs. By 1953, Coca-Cola was so desperate to increase pricing that company president Robert Woodruff approached the U.S. Treasury Department with a request to mint a coin worth seven-and-a-half cents for customers to use in machines. Bottles of soda were often purchased in vending machines, which didn’t take pennies. It was unthinkable to suddenly double the price to 10 cents simply because nickels were the lowest denomination accepted. The beverage company was desperate to find a happy medium in a 7.5 cent piece to sell their product. The soft drink giant was stuck in a pricing rut for 70 years before accelerating inflation justified a price increase to consumers. Fortunately, businesses in today’s marketplace enjoy significantly more flexible pricing structures. There is no magic wand that an e-commerce or subscription business can wave to determine the best pricing strategy. If prices are too high for the perceived value of a product, it serves as a barrier to potential customers. If pricing is too low, a business runs the risk of not being able to support their overhead. There are several different strategies that can be employed to effectively price products within your business: standard, tiered, volume, and stairstep pricing. Every unit costs the same amount. It doesn’t matter if 1 unit is purchased, or 1,000—the price per unit remains unchanged. Pricing is discounted when customers purchase a certain number of units. For example, if a customer purchased 1 to 50 units, the per-unit price would remain constant within that tier. But if customers purchased more than 50 units, they would go into another pricing tier; the price for each unit beyond 50 would be lower. If there are multiple tiers, the customer will gradually receive more discounted pricing, paying less per unit as they move up. Like tiered pricing, there are different pricing levels to encourage larger orders. However, in volume pricing, every unit is assigned the same price depending on what level the purchase reached. If a customer purchased 1 unit, he or she would be in the first tier and pay the highest price for that unit. But if a customer purchased 80 units, they might qualify for a per-unit discount depending on the requirements set by the seller. Each unit purchased would be assigned the same price depending on the level of discount the purchase qualified for. Tiered pricing differs from volume pricing in that a customer still pays the higher cost in the first tier, then pays a slightly lower cost for units in the second tier, and so forth. In volume pricing, a discount applies to all units in a purchase. With stairstep pricing, different tiers are again predefined, but the user pays one set price for any units in that tier. Perhaps your business wants to offer three distinct pricing levels. For the first level, they pay $100, whether they purchase 1 to 50 units. In other words, 1 unit costs $100, but purchasing 50 units costs the same $100. The second level costs $180 if they purchase 51 to 100 units. If a customer purchased 51 units, they would pay $180, or if they purchased 100 units, it would still cost $180. The final level would be a higher value and, depending on the product, there might be a purchase cap. A SaaS (Software as a Service) company may offer monthly subscriptions in this manner. A customer, for example, might purchase 1 to 5 user licenses for $1,000, 5 to 10 user licenses for $1,750, or up to 20 user licenses for $3,500. What types of businesses does the stairstep pricing approach fit best? Stairstep pricing works well for SaaS companies, since a lot of effort and spend goes into developing the software. At this point, a business needs to stay profitable, but the overhead that goes into making the product for 1 user versus 5 has a negligible difference. Does that mean that they should offer one base price per customer, no matter how many licenses are purchased? Not exactly. There are other factors to consider, such as the cost of customer support. One person submitting a ticket to the help desk is considerably different than 50 people from the same customer generating tickets. Another good candidate for stairstep pricing is IoT (Internet of Things) products. An example of an IoT business may be a GPS company that services multiple vehicles. Since an IoT business may track vehicle performance in different ways—speed, time idling, brake usage, etc.—stairstep pricing based on the number of vehicles covered may help simplify IoT billing since it captures usage with a defined tiered approach. Let’s say a business operates a fleet of 50 vehicles. Some are local delivery trucks that travel 25 miles in a day, while others are over-the-road trucks that can travel 300 miles. If your business incorporates stairstep pricing and bills on the total number of miles traveled, billing is simplified for you and the customer. Stairstep pricing can also benefit forecasting models. Consider a usage-based model that has standardized pricing, but bills according to the number of units consumed. While this is ideal for businesses that benefit from this fluctuating pricing and billing, many businesses would benefit from an approach that offers a buffer. For example, if your company uses stairstep pricing and the number of users expands or contracts slightly, it won’t impact your billing. In other words, if your level 2 pricing tier covers 25 to 50 licenses, that customer can jump from 38 to 26 to 49 licenses without impacting their pricing. This continuity helps when forecasting future metrics. While this pricing approach works well for many e-commerce businesses, it is definitely not for everyone. A business, for example, that sells a physical product is subjected to fluctuating manufacturing costs. They would not do well by charging $50 for 1 to 20 widgets in a tier. When businesses are essentially offering the same price for several units, they may try to offer more tiers and reduce the number of units per tier. This works well with bigger ticket pricing, such as the below example. Here is a nine-step pricing plan for Atlassian’s Bamboo, a continuous integration server designed to automate software maintenance. 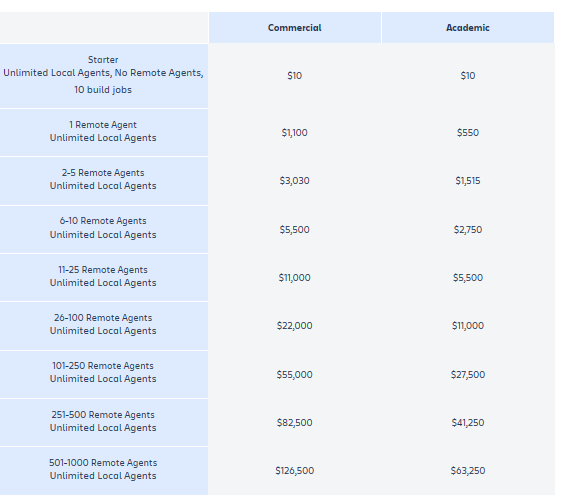 The pricing levels account for the number of agents assigned to a company. Obviously, nine pricing levels cover a diverse customer base, from the $10 starter package with no remote agents to more than $126,000 for 1,000 remote agents. As a rule of thumb, the average number of price packages across SaaS is 3.5, based on a study of 250 SaaS pricing levels. The average customer wants pricing options, but they don’t want to be flooded with them. When that happens, they tend to get overwhelmed and walk away. You may think you’re beating out your competitor by offering more choices, but a simpler stairstep price may win the sale. Circling back to the struggles Coca-Cola had with increasing prices in their first 70 years, one short-lived idea was to replace every tenth soda in a vending machine with an empty bottle. This would be considered an ‘official blank’, forcing the 10th customer to shell out two nickels for their beverage. While the price increased to 5.6 cents per bottle with this approach, it certainly didn’t make any friends among Coca-Cola customers. The practice was abandoned before it went nationwide. Whether your business adopts stairstep pricing or another approach, it’s critical to provide consistent quality. If you fall short of this general expectation, your business sends the customers looking to your competitor to meet their needs.